Cotton 250 thread count printed duvet set with tassel detail. 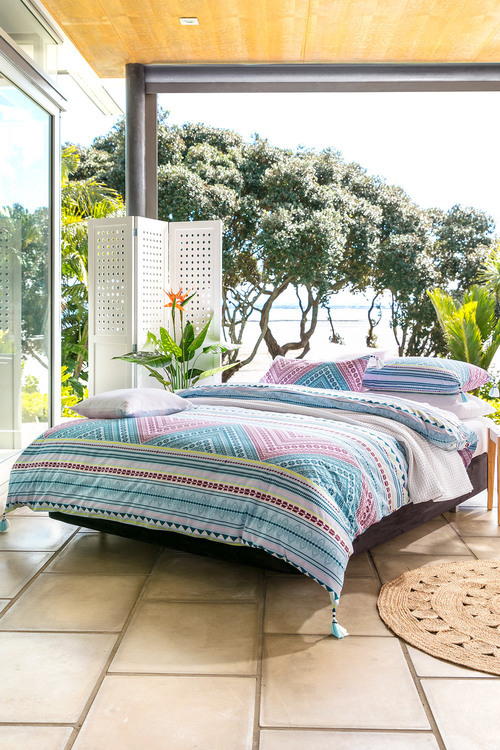 The Kasbah Duvet Cover Set makes a striking impact with a lively multi-coloured boho-style print, with tassel embellishments at the corners. Printed on luxurious 250 thread count cotton, the design is fully reversible. The Kasbah set is sure to bring a stylish contemporary look to your sleep space.